George was born on 8th July 1912. 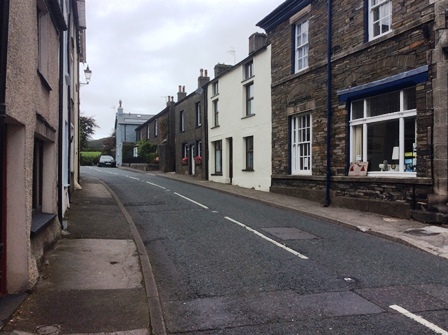 According to his son Barry, he was born at a small hamlet called Foxfield, about a mile south of Broughton-in-Furness, which is where he grew up. 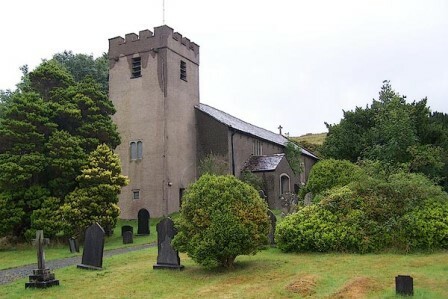 Broughton-in-Furness is now in Cumbria but used to be in Lancashire. On his birth certificate it says he was born at Beancroft, which is about two miles north of Foxfield, on the C5009. 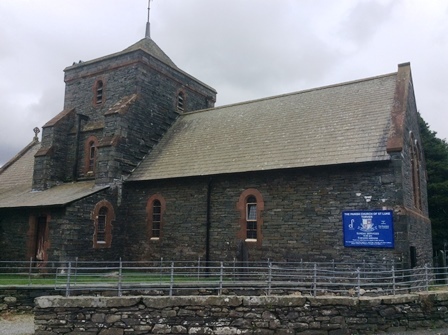 Furness Family History Society gives a good overview of the area, churches and other useful information. For more information about George after he married Kit, see Kathleen Ward. George was one of at least eleven children born to Robert Atkinson (1866-1948) and Mary Ann Woolley (1874-1937). Robert and Mary Ann's children included: Elizabeth (1895-? ), Margaret (1897-1899), Henry/Harry (1898-? ), William (1900-? ), Dinah (1903-1909), Rosemary (1903-? ), Ethel (1904-? ), Lucy (1906-? ), John (1910-? ), George (1912-2000), and Winifred (1917-1985). 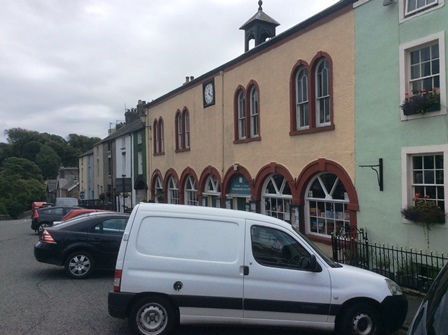 Here is a link to a Conservation Appraisal Plan from 2013, the Plan includes quite a bit of history of the area as well as photographs. 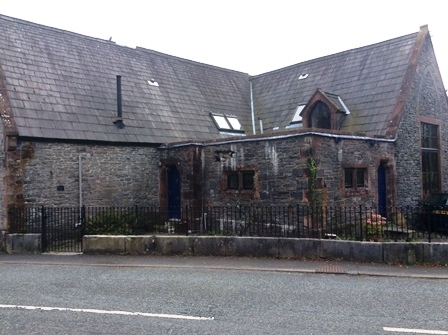 By 1911 the family are living at Beancroft farm, Broughton in Furness. Robert is 45 and still a woodcutter. Robert and Mary Ann have been married for 18 years and have had nine children, seven of whom are still living. Mary Ann is 36. Still at home are Harry 12, William 11, Rosemary 8, Ethel 6, Lucy 4, and John 1. Along comes George in 1912 then came his younger sister, Winifred, in 1917. I only know about two of George's siblings, aunt Lucy, because I remember as a child going to visit her with Barry, aunty Kit and uncle George and I recall her having lemonade ice lollies which were delicious. She lived on a farm and appeared to me to be a very kind lady. The other person is Winifred, and it is because of my cousin Barry telling me about his cousin being murdered that I know about Winifred's family. 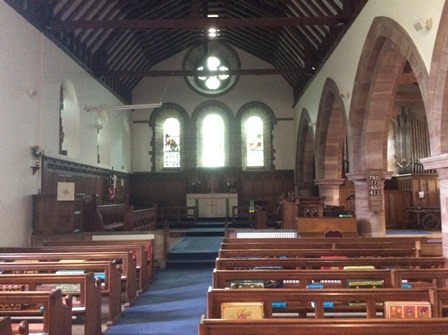 Winifred married Stanley Price in 1939 at St Mark's, Barrow in Furness. They had three children, two girls and a boy. The first of the two girls was adopted, Carol Ann, their second daughter was Christine Joyce who was born in 1952. Christine Joyce was murdered by her boyfriend in 1969. 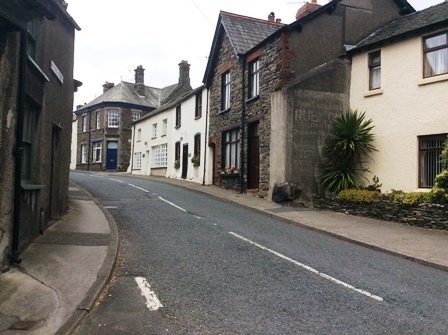 One murder is bad enough, but in 1976 Carol Ann, who had married a Gordon Park in 1967, went missing and her body was found in lake Coniston in 1997. There has been a lot of publicity about the murder, here is a link to the case on Murderpedia. All I have to say on the matter is that, having been involved in helping a young lesbian get out of prison after she was, in my opinion, wrongfully arrested, I have little faith in the police or the criminal justice system; and having been involved (very much on the outside) with several television companies making programmes, I have little faith in them telling the truth. It must have been awful for Winifred and Stanley, and the rest of the family, to experience two daughters being murdered. George's mother, Mary Ann, died at the age of 63 years on 7th May 1937 at 43 Napier Street, Barrow in Furness. She left £225 to her husband, Robert, who is down as a retired wood cutter. 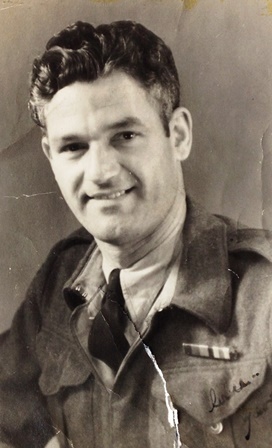 His father, Robert, died at the age of 82 years on 24th June 1948 at 13 Slater Street, Barrow in Furness. He left £422 5s 4d to John Atkinson, who was a boiler fireman,and Elizabeth Whitehouse. Elizabeth, Robert and Mary Ann's eldest daughter, had married Issac Whitehouse in 1917. George's father Robert was the fifth child of Robert Atkinson (1827-1907) and Elizabeth Dawson (1833-1904). 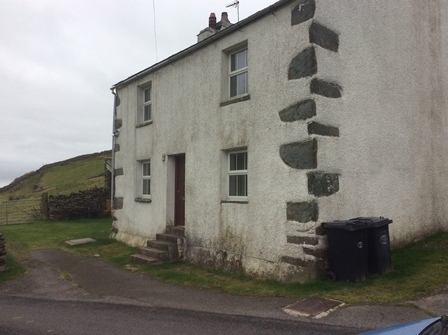 He was born on 10th August 1866 at Bankend which is now a holiday cottage. His siblings were Mary (1856-1946), William (1858-? ), Eleanor (1861-1904), and Margaret (1864-?). Then came Robert (1866-1948) followed by two further siblings, John (1869-1927) and James (1872-1911). 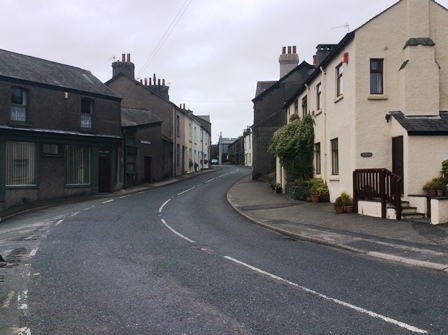 Colton which used to be in Lancashire but is now in Cumbria is eight-and-a-half miles to the east of Broughton in Furness. 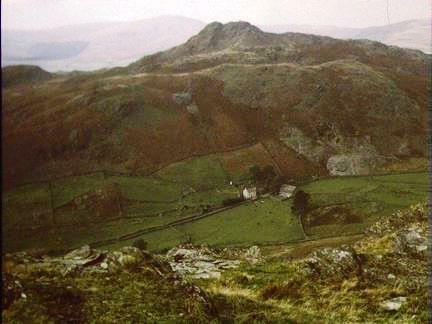 Ten years later and the family are living at Hare Hall, Dunnerdale, a few miles east of Ulpha in the Duddon Valley. Robert is 42 years old and a labourer in highways, no doubt working for the local authority. Elizabeth is now aged 37. William is 15; Ellen 11; Margaret 7; Robert 5; and John 2. They also have a lodger. By 1901 the Atkinson family have moved again. Now they are living at Duddon Bridge, which is next to Bank End on the census. 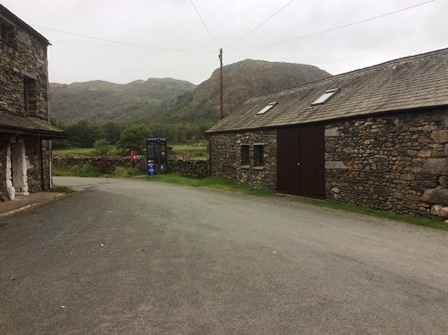 Robert is still working as a general labourer, he is 75, Elizabeth is 68 and James, who is now 29, is still at home, he is a rural postman. 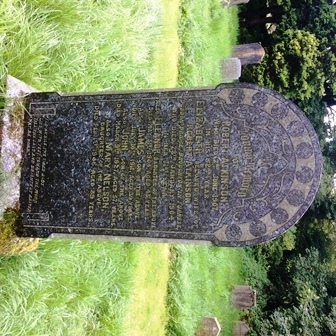 "In loving memory of Robert Atkinson who died 2nd June 1907 in his 82nd year. Elizabeth beloved wife of Robert Atkinson, Dudden Bridge, Broughton in Furness, who died 28th January 1904 in her 71st year. Also Eleanor daughter of the above died March 31st 1904 aged 43 years. Also James son of the above died July 10th 1911 aged 39 years. Also John son of the above died March 9th 1927 aged 57 years. Also Mary Nelson daughter of the above died Feb 1st 1946 aged 89 years. 'For a while the tired body Lies with feet toward the morn, Till the last and brightest Easter Day be born.'" Elizabeth is the first of nine children born to Robert Dawson and his wife, Eleanor Ashburner. 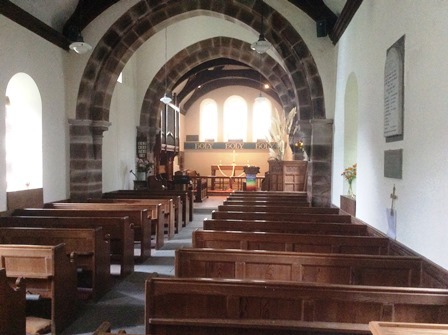 Robert and Eleanor were married on 17th November 1832 at St Mary, Ulverston. Robert was a tailor; their witnesses were Jane Jackson, Robert Oxley and Jane Fell and were married by P. C. Nicholson. They lived in Lowick Green, 11 miles slightly south east of Broughton, where their nine children were born: Elizabeth 1833; Margaret 1835; Eleanor 1838; Jane 1841; William 1844; Thomas 1847; Ann 1849; John 1852; and Robert Stopard, 1860. 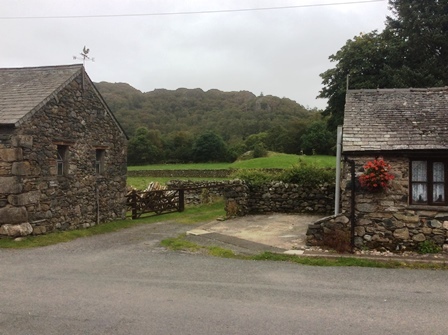 Robert's father, William Dawson, was born on 26th July 1768 at Halldunnerdale; Hannah Stopard was born at Heathwaite farm which is a few miles south west of Coniston and baptised at St Andrew, Coniston on 14th June 1878; her father was William Stopert. 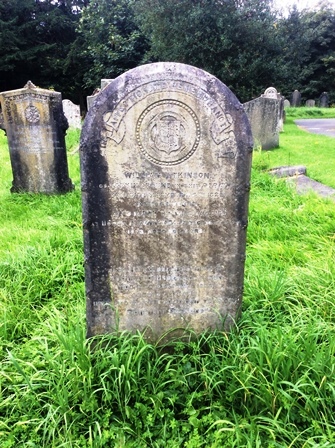 Hannah died in 1862 at the age of 84 years in Ulverston. George Atkinson's great, great, grandfather was William Atkinson (1775-1829), his great, great, grandmother, Mary Butcher (1784-1874). 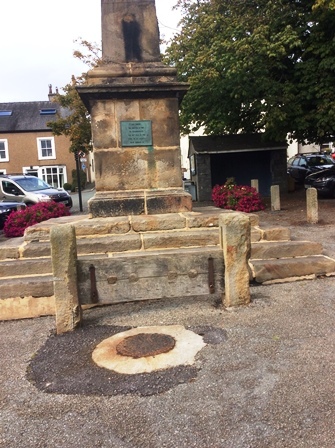 William, born in 1775 and baptised at St Mary Magdalene, Broughton, was the son of another William (George's great, great, great, grandfather) who was a blacksmith, a trade he passed onto his son. 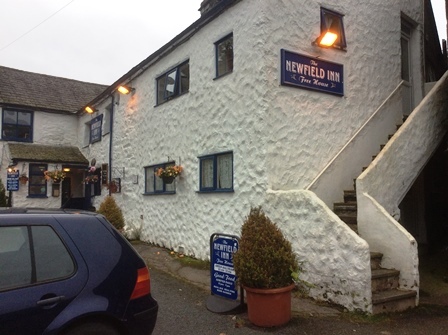 They probably worked at the blacksmiths near the Blacksmith Arms which was originally an inn, working farm and blacksmiths; it is a short distance from Hobkin Ground. William probably grew up in Hobkin Ground. 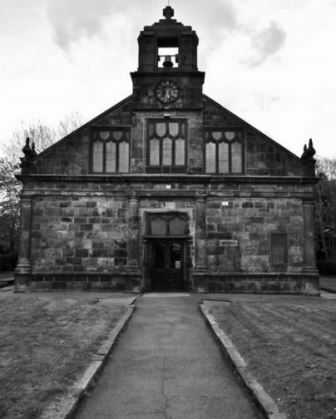 At the age of 44 years he marries Mary Walton (nee Butcher) at St Mary's Dalton on 27th April 1819; their witnesses are John Stable and John Smith. William signed his name but Mary signed with a cross, meaning she couldn't read or write. 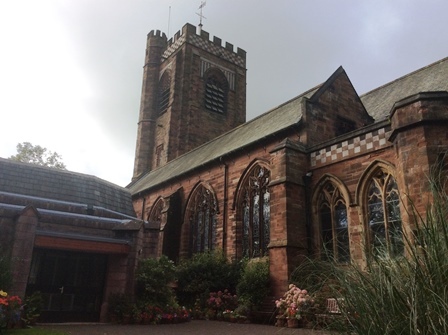 Mary Butcher was born in Cocken and baptised at St Mary's, Dalton, on 4th July 1784. 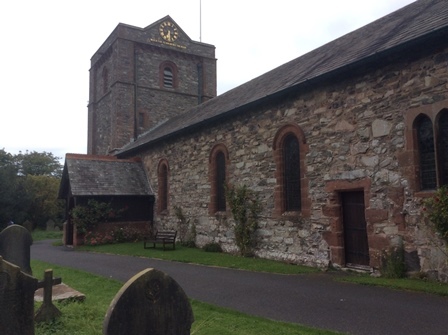 There were two Mary Butcher's baptised at St Mary's in Dalton that year but we know this is the one because her father is Thomas Butcher and her mother Margaret Myers (1746-1842), who were also married at St Mary's, Dalton. Mary was first married to William Walton who died in 1819; she had four children from her first marriage: Thomas (1808-1892), Margaret (1810-1910), William (1812-1891), and Joseph 1817-?). 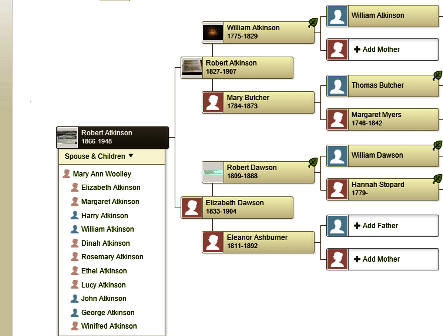 During the ten years of their marriage, William Atkinson and Mary had five children: Elizabeth (1820-? ), John (1822-? ), James (1824-1901), Robert (1827-1907) and Mary (1829-?). Robert's father, William Atkinson, died the same year his youngest child, Mary, was born - in 1829. This means that his mother, Mary, was left bringing up nine children but, thankfully, the eldest ones from her first marriage were old enough to help: Thomas would have been 21, Margaret 19, William 17, Josepth 12, then Elizabeth 9, John 7, James 5, Robert 2 and little Mary wasn't even one when her father died. In the 1841 census Robert, aged 14, is living with his mother, Mary who is now about 57, his older brother James, 15, and his two half-brothers, William 29 and Joseph 24. 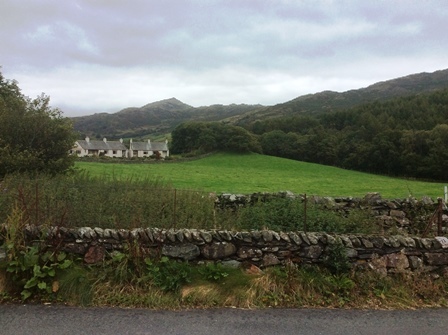 They are living at Torver, which is two miles south west of Coniston. And here is a video of the view from Hoses. 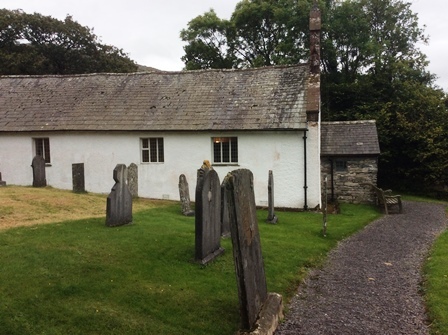 Meanwhile, Robert's mother, Mary, is living at Boothwaite Nook, a farmhouse a few miles south east of Broughton with her son John Walton from her first marriage, his wife, Mary and their children William 6 and Agnes 4. 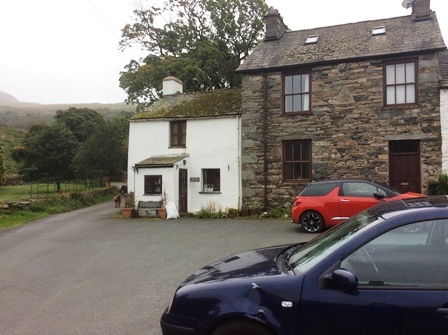 In 1861 Mary, aged 77, is living on her own at Undercrag a cottage in Torver. Ten years later in 1871 Mary is living with her daughter Margaret Hodgson, aged 60, Margaret's husband Isaac, aged 69, and their children Isaac, 28; Walton 23; and Lamar, 20. They are living at Hoses. Robert Atkinson, his wife Elizabeth and their family are living in the next farmhouse, Hare Hall. 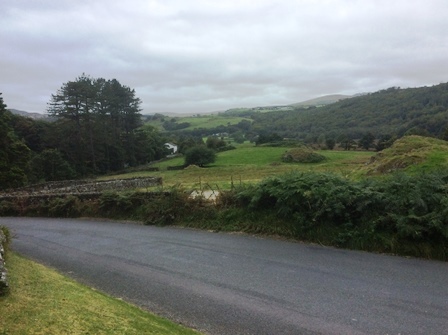 William Atkinson of Hobkin Ground and in this PARISH who died December 4th 1828 at 49 years also MARY his wife who died at Hoses, Dunnerdale, December 1873 aged 90 years. Also MARY beloved wife of John Atkinson who died December 1842? aged 67 years. Thy will be done. Here are a couple of short videos showing the view from the fell above Hoses View above Hoses; Another View above Hoses. 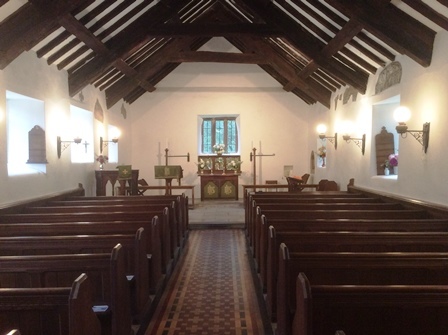 The Atkinsons, Dawsons and Ashburners go back to the mid 17th century.